Under the United States Constitution, everyone has a right to due process. To be able to uphold this right for others is a great honor. We view all of our clients as individuals with their own story to tell. Our lawyers understand that every situation is different, and we want to help you plead your case. 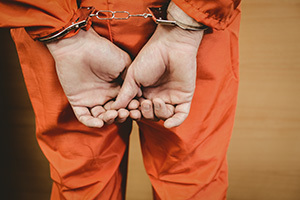 If you’ve been accused of a traffic violation, shoplifting, battery, or any other non-felonious crime, call us at The JW Law Firm. Please note that we only take cases involving misdemeanor offenses. Below are the most common cases we handle. Not everyone is treated fairly when they are pulled over, and sometimes punishments and ticketing can go too far. We want to help get you out of those situations and see that you are treated justly. Most people will receive more than a few moving violations in their lifetime, and understandably so. We can’t all be perfect drivers every time we get in the car. The most important thing is to learn from our past mistakes and try to become better drivers. Those accused of shoplifting can face serious charges and details matter greatly. The laws that govern theft crime can be hard to understand, especially when you take into account local, state, and federal law. Regardless, you still have to protect yourself and make sure you receive fair representation when you receive your day in court. Many prosecutors will do whatever they can to see that your penalties are as high as possible. That’s why you need someone with the right legal knowledge and skill to prevent things from going too far. We’ll go over your options with you so that you receive the best possible outcome. If you’ve been accused of shoplifting, call The JW Law Firm. We’ll fight for you and make sure you are treated justly. Battery is the use of physical force (a shove, punch, kick, etc.) on the person of another. The act can be aggressive in nature, but it can also be used in self-defense. Making these distinctions is very important if you are ever arrested or tried for battery. Because there are some gray areas when it comes to battery charges, it’s always best to get legal help as soon as possible. A battery charge, depending on the surrounding facts and circumstances, can greatly change how the case will be seen. Having an attorney that can give a clear and detailed explanation of what happened is a vital part of your defense. The lawyers at The JW Law Firm can help give that defense. If you’re involved in a battery case, call us today. We’ll make sure your side of the story is heard.